This for all the weekend warriors out there, who decides to exercise usually to excess, and will then get injured from a variety of bodily ailments. What they claim is “no pain, no gain,” and as a result will get hurt. Most often, many are just doing the workout wrong, or pushing themselves too hard. Although working out is an excellent way of getting fit while burning off stress, all while boosting up metabolism, getting injured will suddenly put a halt on things. Those who even exercises on a regular basis, also remain prone to injuries, as we see professional athletes get hurt often. This injury is common for those who run, where there’s severe pain on the outside of the leg. The most notable symptom of this injury is typically pain and swelling on the outside of the knee. Most runners will mistakenly think they have a knee injury, and not ITB. ITB is an actual ligament that runs up and down the outside of the thigh, starting from the hip down to the shin, and that’s what causes the pain. What this band can do is rub against the knee joint, which causes the inflammation. ITB occurs once the leg turns inward too often. The cause of this injury is because of worn out shoes or the wrong shoes, running downhill too often, or running for too long. This injury is common for beginner runners doing too much. These are a group of muscles which stabilizes the shoulder joint, and are susceptible to injury, especially when doing contact sports. If you begin to experience exercise related pain, this once you move your arm behind your back or towards the side, that could be a sign you’ve damaged your rotator cuff. Exercises that can potentially affect the rotator cuff, can include repetitive motion activities like swimming or throwing. The key becomes to strengthen this area as part of your warm up routine, without overdoing it, such as lifting weights that are too heavy. Make sure you have correct posture, this to avoid compressing the joint. Most are familiar with getting chronic back pain after doing certain exercises, such as when working out their core, or their back muscles. 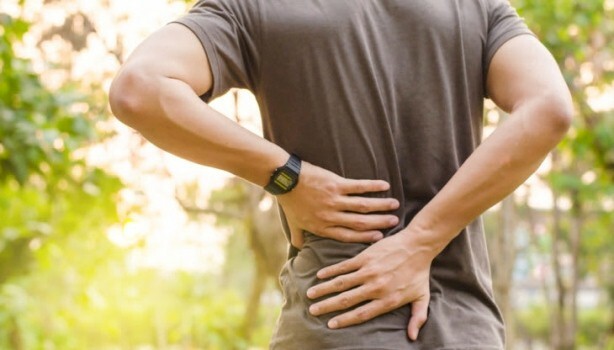 The pain occurs because of the body’s natural inflammatory response when exercising, which causes what’s known as micro-trauma, this to the muscles and the surrounding connective tissues. Don’t mistake this soreness as an injury. Muscle soreness after exercising is normal. On the other hand, if acute pain suddenly occurs during a work out, that should be a cause for concern. There may be other symptoms such as tingling or numbness in the area. This pain can be avoided by strengthening the core muscles, such as the abs and back, this by properly lifting weights, starting with the hamstrings.